Dealing with the public in any service industry is always an interesting venture, however, when you add controversial topics into the mix, it gets even more crazy. The current knowledge and perceptions of drones with the general public has a very wide range. It ranges from people who are excited about the technology and think it’s cool, to people who assume you are using it to spy on them. It is almost guaranteed that while you are out on job sites in public, you will have multiple people approach you and hear their specific opinion on the topic. This also happens directly from customers sometimes. Just this morning, I had a person call our office wanting to do nothing more than vent about how drones invade people’s privacy. It’s going to happen and it will happen to you as well. The most important thing to do in these situations is remain professional. Remaining professional at all times is extremely critical to the success of your business or the company you work for. 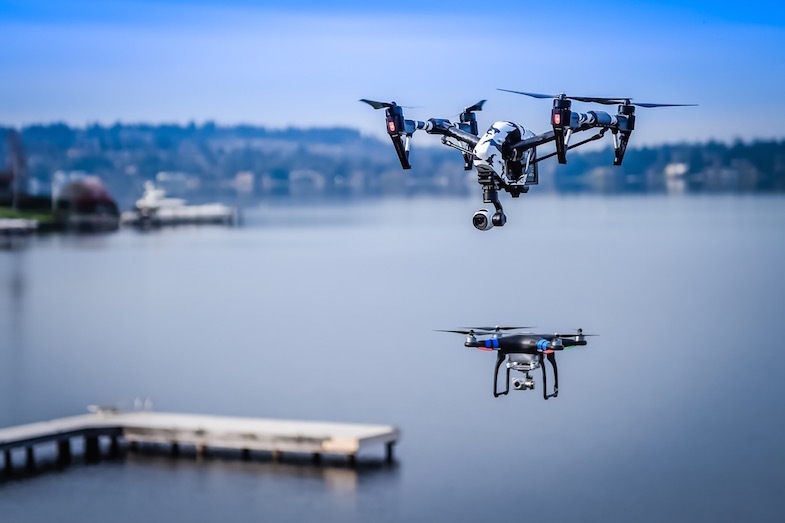 In our profession, it can be more challenging than most due to the controversial nature of the use of drones. The first thing to do when a customer or person in the public approaches you with a negative attitude or confrontational attitude is to pause, breath, and let them finish. Once they have stopped, think about your choice of words with the intent of sounding professional and defusing the situation. If they are coming off confrontational, it may be best to simply agree with what they are saying, or, refer them to someone else. If you are in the middle of the flight, ask them kindly to wait until you have landed to ensure safe operation of the system. If they become a distraction to your flight or to your safety, look to see if you can get help from someone else until you have safely landed. In the end, the more professional and positive that you can be, the better the outcome of the situation in your favor. Professionalism is not only for intense situations. Professionalism is in how you conduct all interactions with clients, customers, and co-workers. It sets a perception about your business and is seen on every level. I will go into some specifics, but, these are only a few examples and you should think about every aspect of interaction with people. First, how you answer your phone. If you have a dedicated business line, you want to ensure that you answer in a professional manner. I personally prefer “Hello, thank you for calling Soaring Sky, this is Jason Speaking, how many I help you?” or some minor variation of that. Next, is your appearance. Are you dressing appropriately for the job/occasion? Are you wearing a safety/high visibility vest? Do you have business cards to hand out? All of these little details go a long way in the perception of you with the customer. The next part is your business appearance. Your website, if you have one, should be clean and professional. Investing in a decent platform or finding someone to help you set up a proper website is well worth the time and investment. I would highly recommend having a facebook page and youtube channel as well. On these channels you can demonstrate some of your work where people can find it and follow you. Finally, with your customers, ensure you always follow up with them and get feedback on the quality of the deliverable. This will help you learn and grow and also show that you care. -Treat others how you would want to be treated. -Present yourself how you would expect to see another business presenting itself in your situation. Do your best to always remain calm and level-headed and remember, how you act in a situation, especially in public, can greatly help or hurt your business or company.